FDA To Ban E-Cigarette Sales At Gas Stations And Convenience Stores : Shots - Health News The Food and Drug Administration is set to ban sales of e-cigarettes at gas stations and convenience stores, which is where teens often go to buy them. Federal regulators want to ban the sale of most flavored e-cigarettes at retail locations like gas stations and convenience stores and require anyone buying e-cigarettes online to verify their age. The new restrictions come as the Food and Drug Administration has been trying to rein in a dramatic increase in vaping by young people. Smoking of traditional tobacco cigarettes has fallen to a record low, but the popularity of e-cigarettes with youth is raising alarm bells. FDA Commissioner Scott Gottlieb tells Politico's podcast Pulse Check that he fears one form of nicotine is replacing another. "The bottom line is that we are creating a whole pool of kids addicted to nicotine through e-cigarettes, some proportion of them are going to become longer term users of combustible tobacco that otherwise might never have initiated on tobacco," Gottlieb says. Dr. Amy Sass, who works in adolescent medicine at Children's Hospital Colorado, says research indicates e-cigarettes can affect teens' brain development. And the e-cigarette flavors — like mint, mango and cucumber — really attract kids. "I think these news rules would be great first step," she says. Colorado is among the leading states for teen vaping. Gov. John Hickenlooper, a Democrat, applauds the federal action: "What's nice about this is that the FDA is following on and therefore amplifying public attention towards this issue." Don Daniels, who teaches about tobacco risks at a Colorado high school, also welcomes the new crackdown. He says convenience stores and gas stations are mainly where teens buy e-cigarettes. But, students tell him they'll still be able to buy online. "Kids can have adults or older siblings buy the products for them and that's already happening," he says. 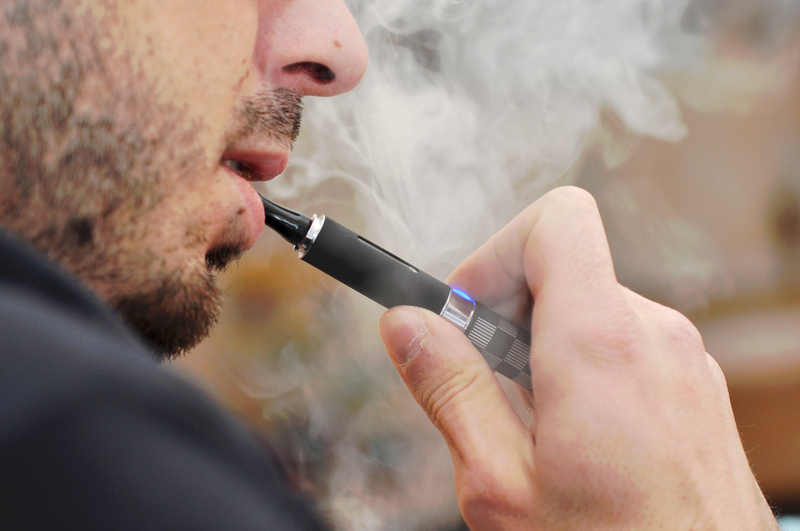 Many in the vaping industry say the FDA regulations will make it harder for adult smokers to quit, saying vaping is a safer alternative to cigarettes. Scientists are still looking into the long-term health effects of e-cigarettes, but they do also usually contain nicotine and other ingredients that could harm the lungs. There's criticism that marketing to kids has gone too far. Ray Story with the Tobacco Vapor Electronic Cigarette Association, an industry trade group, says vaping giant Juul has been "irresponsible" when it comes to teen use. "You get to a point where basically they're selling a product is like a lollipop," he says. Juul declined to comment. The FDA rules are expected to be released during the week of Nov. 12. This story is part of a reporting partnership with NPR, Colorado Public Radio and Kaiser Health News.